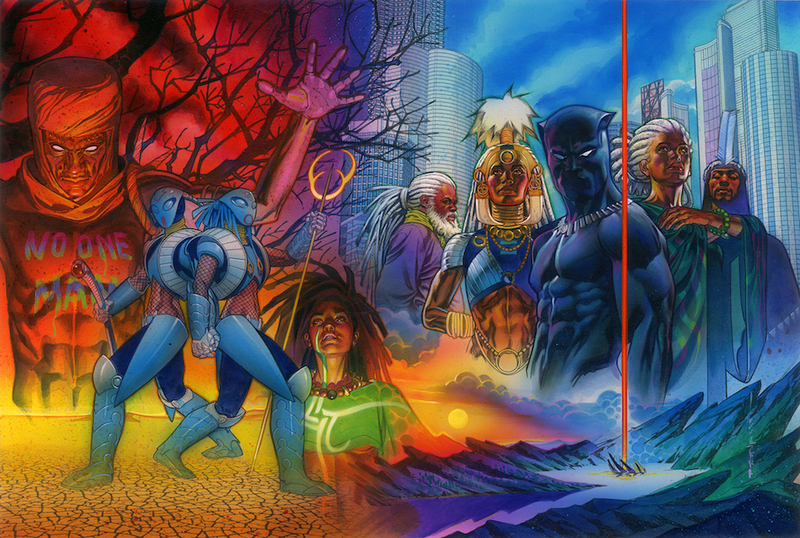 Marvel's Next Big Thing – 'Black Panther: A Nation Under Our Feet' – AiPT! Collecting the first year of the critically acclaimed Black Panther series, this oversized HC features a new wraparound cover by artist Brian Stelfreeze and an introduction by Emmy Award winner Seth Meyers! Ta-Nehisi Coates (Between the World and Me) is a National Book Award winner, a New York Times best-selling author, a national correspondent for The Atlantic, and the recipient of a “genius grant” from the MacArthur Foundation. So when Coates writes, the world pays attention — and now they’re paying it to Black Panther! Featuring art by the inimitable Brian Stelfreeze and fan-favorite Chris Sprouse, Coates’ character-defining run begins here! When a superhuman terrorist group named The People sparks a violent uprising in Wakanda, the kingdom famed for its incredible technology and proud traditions will be thrown into turmoil like never before! Black Panther knows that if Wakanda is to survive, it must adapt — but will he be able to make it through the transition alive? Heavy is the head that wears the cowl! Collecting Black Panther (2016) #1-12 — by Ta-Nehisi Coates, Brian Stelfreeze, Chris Sprouse, Karl Story, Goran Sudžuka, Walden Wong, Roberto Poggi, Laura Martin, Matt Milla, Larry Molinar, Rachelle Rosenberg and Paul Mounts.